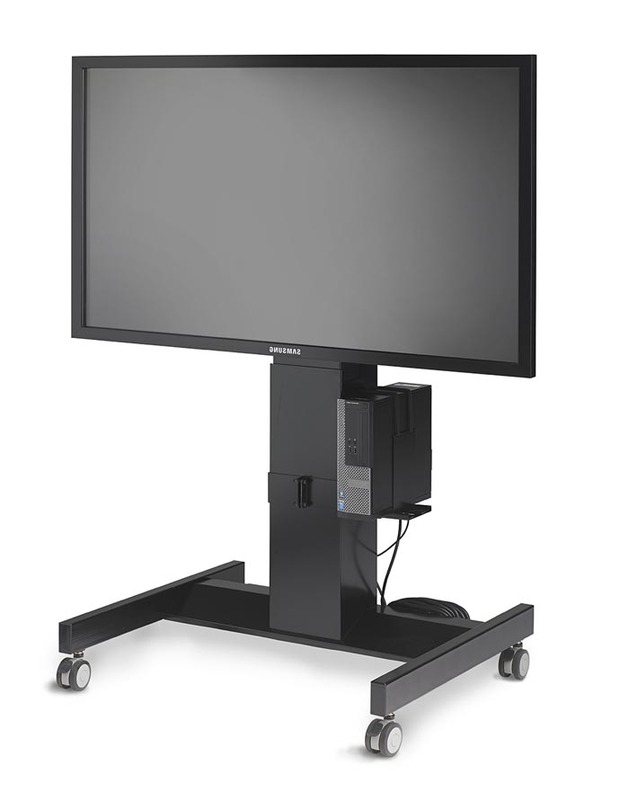 New height adjustable media/design center available in vertical and tilt versions. • Easy to manuever the mobile media center is ready for meeting requirements anywhere four wheels will allow. • Design center version allows for seated or standing height work on a large screen from vertical to horizontal position. • Electrical System: 110Vm 60 Hz, 24V DC mtor. Draws 1.2 amps under full load. • Meets ANSI/BIFMA tested requirements.